White sand beaches, crystal clear blue sea, beautiful reefs, and phenomenal weather; it’s no wonder why many people consider having a Maldives wedding. It truly is a barefoot paradise that offers plenty of options for the perfect destination wedding. From sunset cruise weddings to exchanging vows right on the beach, there is no doubt that a wedding in the Maldives will be unforgettable. Here are a few things that you should know before you save up for the big day. A wedding in the Maldives between two foreign nationals is not legally binding. Even though the day is very much real, complete with a ceremony and the perfect beach wedding dress, it will not be recognized as legal when you get home. Most people who get married in the Maldives have a legal wedding at home, and the beautiful ceremony in the Maldives. This is the only way to have a Maldives wedding, but it doesn’t make it any less fantastic. There is a big wedding industry in the Maldives islands for foreigners that want to have a wedding on a magnificent beach on a tropical island. In fact, many resorts offer wedding packages, most of which combine both the wedding and the honeymoon. In the Maldives, a traditional wedding ceremony includes a Bodu Beru (drums) procession. This is a procession of around 20 drummers that play Bodu Beru dressed in traditional clothing, leading the happy couple down the aisle and to their wedding ceremony. It is topped off by having a local gazi (judge) preside over the ceremony, all of which is done in the local Divehi dialect. Some couples that go the traditional route also choose to wear traditional Maldivian clothing. Couples can also, of course, have a western wedding and skip all of the Maldives cultural aspects. Still, many Maldives resorts that offer wedding packages due include the bodu beru drummers, as it is a great way to remind both the couple and their wedding guests that it is, after all, a destination wedding. It is also possible to have a Maldives wedding in a location other than on the beach. 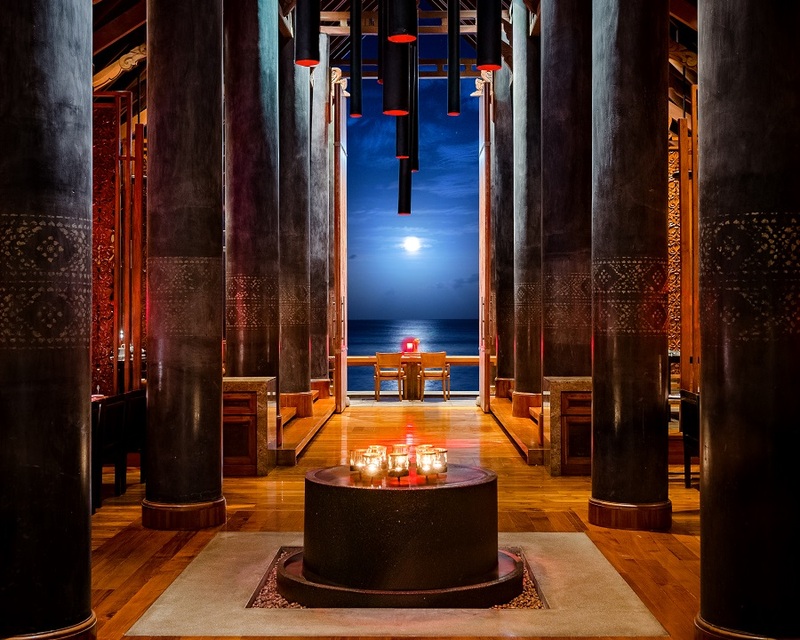 You can have it on a traditional dhoni or luxurious yacht in the sea, on an isolated sandbar far from everything else in the world, on a rooftop terrace at sunset, or at the edge of a pool. 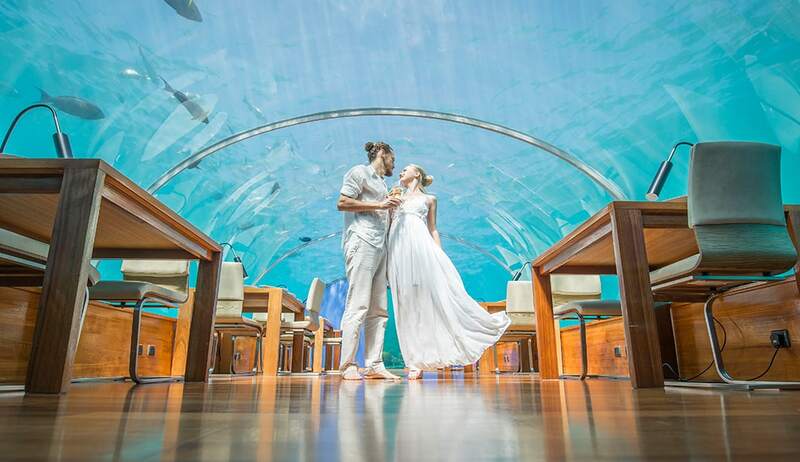 You can also have a wedding in one of the Maldives top restaurants, like the Ithaa Undersea Restaurant, 5.8 Undersea Restaurant, or Botanica Restaurant. A wedding can be an expensive ordeal, what with the attire, the flowers, the photographer, hair and makeup expenses, the cake, the ceremony, and the reception. In fact, according to the business insider, the average cost of a wedding in the US is $33,391. This amount is doubled if you get hitched in Manhattan. This price does not include the honeymoon, which, according to Forbes, is an additional $4,000, if not more. Having a wedding in the Maldives is substantially cheaper and will save couples a lot of money. 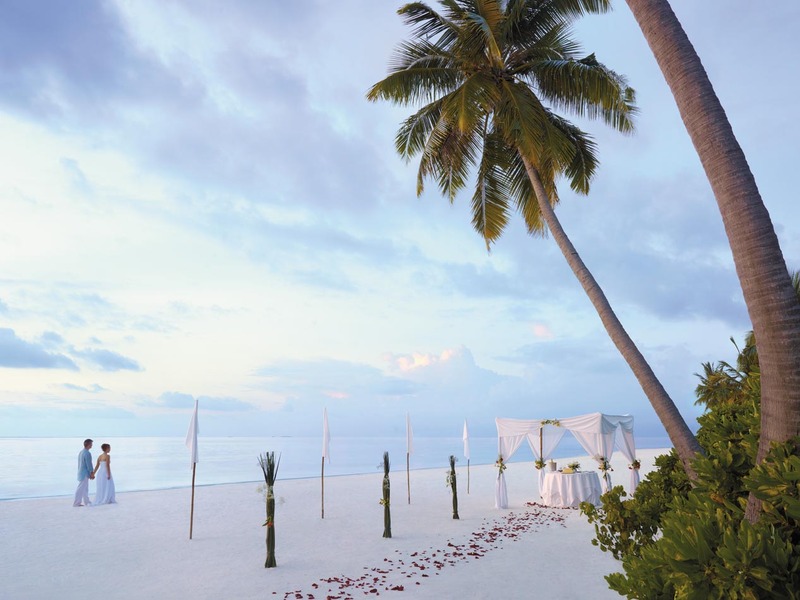 A wedding package in the Maldives is anywhere from $550 to $4,000. Add in the flights and it is still less than $10,000. The best part is that you don’t have to fork out even more for the honeymoon, as the wedding and honeymoon are all rolled up into one package deal. 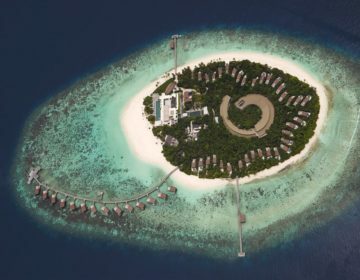 The entire ordeal –wedding and honeymoon- could end up being just $3,500, making a Maldives wedding quite an affordable dream. 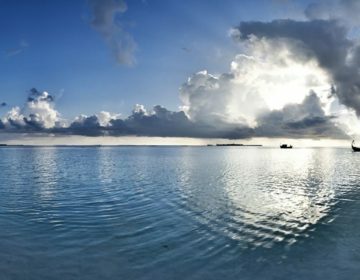 Maldives resorts that offer wedding packages include the flowers, the makeup, the cake, the photography, and the venue. Even the most basic packages include these things. You can also splurge and get add-ons, like bodu beru players, a bottle of champagne, alter decorations, a romantic sunset cruise, and a 60-minute relaxing couples massage, among other things. Let’s not forget that your Maldives honeymoon package will start as soon as you say ‘I do’. There are many resorts in the Maldives that offer wedding packages, but these are the best in the bunch. Have a memorable wedding in a once-in-a-lifetime location in one of the Shangri-La’s Villingili Resort and Spa’s ocean facing wedding pavilions. Make it even more memorable by having an Arabic, Indian, Japanese, or Chinese themed wedding, or exchange vows on the resort’s luxury yacht. No matter what location you choose, a Maldives wedding at this grand resort will be exceptional. It can be a traditional western wedding or a Maldivian wedding; the resort’s wedding planner will organize the wedding of your dreams. Wedding packages include the venue, the decorations, music, photography, the bouquet, the cake, and the ceremony. They also add in a few extras to make it that much more special, like a 90-minute spa treatment, in-villa breakfast the morning after, bed decorations, and coral planting. Offering beachfront soirees and weddings under a traditional pavilion, the One&Only is one of the top Maldives resorts for a destination wedding; and Vogue magazine agrees. Exchange vows in the afternoon or at sunset, followed by a picture-perfect celebration. You can even have your wedding right in front of your beach front villa! The One&Only Reethi Rah will make all of your wedding dreams come true, from the stunning backdrop during the ceremony to the pedal shower. Every single detail is looked after, so all you have to do it show up, and allow the staff and the wedding coordinator to pamper you. 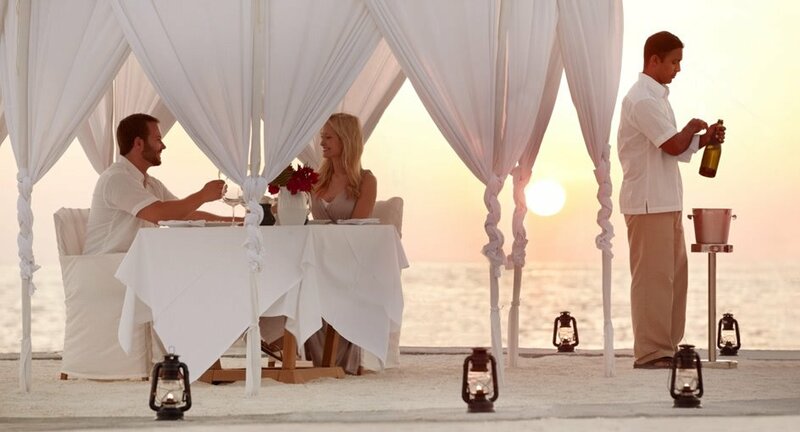 Afterwards, you’ll be whisked away on a floral decorated golf buggy to a romantic candlelit dinner at the exceptional Reethi restaurant. The wedding will carry on into the honeymoon, where you will enjoy private romantic dinners, couples spa treatments, and romantic walks along the pristine beach right from your villa door. 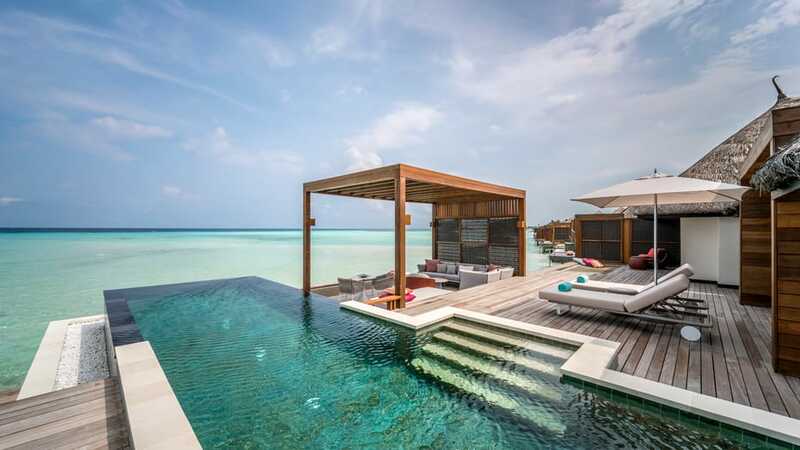 Or opt for a water villa and enjoy a dip in the lagoon from your very own private access. Afterwards, lay around holding hands on the wrap-around hammocks that float over the water. 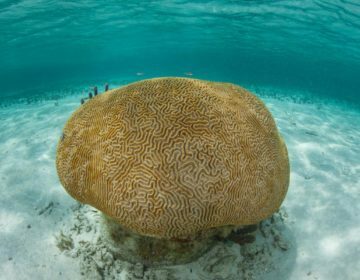 You can be completely on your own, or meet other resort guests at one of the main pools, on a diving trip, or by going on a whale shark adventure. You can even spend an evening at one of the resort’s chic bars sipping on fine wine or exotic cocktails. Find current deals at One&Only Reethi Rah here. Standing under a floral arch while the sun sets, having the ocean breeze blow through your hair, or being on a private island with up to 100 of your favorite people, Anantara Veli Maldives Resort can make your Maldives wedding dreams come true. Before the big event, calm pre-wedding nerves by having a 60-minute massage. Then walk down the beachfront aisle to the sound of drums and exchange vows in a dream location. Wedding packages include everything you could possibly need to make your wedding day a memorable one, including photography, a floral bouquet, and a floral bath ceremony to enjoy on your wedding night. After the ceremony, enjoy a private dinner on the beach or a soirée under a tent on the beach with your friends and family. Once the wedding is over you can enjoy your honeymoon in one of the resort’s amazing bungalows, all of which are perched over the water. Each and every bungalow at Anantara Veli Maldives Resort has a sundeck with day beds and access to the lagoon, with some having a tub for two overlooking the water, and others featuring a private plunge pool. The rest of the resort is just a spectacular, from its magnificent restaurants to its tranquil spa. They also offer yoga classes, Ayurvedic programs, diving excursions, and island picnics. Or you can just stay in your bungalow and celebrate your love. Click here to find current deals at Anantara Veli Maldives Resort. Ever dreamed of getting married under the water? Well at the Conrad Maldives Rangali Island that is possible at their renowned Ithaa Undersea Restaurant. If you would prefer a barefoot wedding they can also arrange a Maldives wedding right on the beach. Wedding packages start with a spa treatment for the bride and groom to calm pre wedding jitters, followed by a ceremony at the location of your choice. A three-tier cake, sparkling wine, photography, and all decorations are included, as is the ceremony itself. After the wedding, the Conrad Maldives Rangali Island will be sure to make your wedding memories last forever with its in-villa features.